Mike Blumenthal recently wrote that Google has confirmed suspicions that they are indeed removing or ‘purging’ away anonymous reviews on Google My Business profiles. 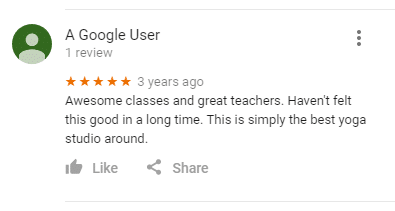 Google also confirmed that they were no longer going to allow anonymous reviews on business profiles. Reviews are a major part of Google’s Local and Maps algorithms for ranking brick and mortar businesses. 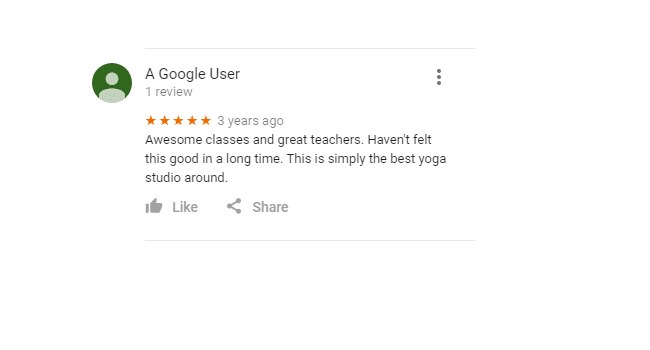 This purge obviously impacts many yoga studio owners who had worked hard to diligently gather customer feedback on their Google My Business page. Studios that had reviews deleted may have lost rankings in Google’s Local pack due to this. If you’ve noticed a ranking change or a loss of traffic from Google recently this may be the cause. It is important to always be asking your customers for feedback by leaving reviews on Google, Yelp, Facebook, and other sites instead of just trying to gain reviews from time to time.